We live in 2012. We just cannot understand “development” as it was understood in the 20th century. The world has changed. Paradigms need to evolve to better reflect how the world really is, and to endow ourselves with suitable tools to make it more sustainable, that is, to widen our freedoms and those of the future generations. This is the role of scientists, activists and policy-makers. In 2012 we will have to thoroughly discuss on sustainability (or sustainable development, but let’s leave the complex discussion between these two concepts aside). On 20-22 June 2012, the international community will meet in Rio de Janeiro, 20 years after the Earth Summit, in order to discuss new agreements, treaties or declarations on sustainability. Before, we must analyse where we are. Where we are: mainstream policies for sustainability are built on three pillars or dimensions. The economic pillar aims to create income and it was conceived in the 18th century, the social pillar redistributes income and aims to introduce considerations related to equity to all members of a society as we began to do in the late 19th century; the third pillar watches over the responsibility for the environment and was conceived during the second half of the 20th century. The more we learn, the better we understand the world. These three pillars shape the paradigm of sustainable development, a “virtuous triangle” which is applied by all tiers of government and at all scales, be it local, national, continental or global. The paradigm was successfully consolidated after the Brundtland report (1987) in the Earth Summit of Rio de Janeiro in 1992. Where we are: let’s be bold and say that the current paradigm of sustainability is obsolete, let’s suggest the paradigm needs a fourth pillar, culture, and let’s substance this strong statement with evidences that go from the human being to the planet, proceeding step by step. Amartya Sen, Arjun Appadurai or Edgar Morin (to name but a few) wrote their main contributions to what development means after 1992. The concept of “development” has evolved during the last two decades. Today, development means freedom and widening the choices for each person living on the Earth. The scientists very clearly highlight the need to put human beings -children, men and women- at the centre of the future, at the centre of sustainability. Any critical analysis on the challenges we are facing as human beings say that we have the capacities but we (very often) do not have some of the capabilities (tools, skills) to understand the world and to transform it so that it becomes really sustainable. These capabilities are literacy, creativity, critical knowledge, sense of place, empathy, trust, risk, respect, recognition... These capabilities are not included in any of the current three pillars of development. These capabilities can be understood as the cultural component of sustainability. We have seen that many local and national strategies for sustainable development have failed because they forgot culture. When the current paradigm of sustainability is applied by governments in their long-term planning, the economic dimension is always explicit (it generates income and employment, and thus exports), the social dimension focuses on equity (health and education, and fight against poverty) whereas the environmental dimension aims (and is sometimes successful) to introduce a balance in the consumption of resources within the local ecologies. Culture is either ignored, or it appears as an instrument to achieve other goals. Yes, culture is in the economic dimension, but it cannot be reduced to an instrument for economic growth (where the drift of the so-called creative class have led). Yes, culture is in the social dimension, but it cannot be simplified to provide cohesion to a society (this is the dream of all fundamentalisms, and the nightmare of those who love freedoms). Yes, culture has an environmental dimension but we cannot just use it to raise awareness on environmental responsibility. Culture is much more than an instrument. It is the soul of development and cherishes intrinsic values as heritage, knowledge, creativity, diversity or identity. Culture allows citizens to have a life full of conscience and meaning. Governments that aim to implement sustainability and serve their citizens must allow these concepts to be at the heart of their long-term planning. Cities are being the pioneers: the world organization of United Cities and Local Governments promotes an “Agenda 21 for culture” (approved in Barcelona in 2004) and the Statement on “Culture as Fourth Pillar of Sustainable Development” (approved in Mexico City in November 2010); these documents propose a wide and solid local cultural policy, based on the cultural rights of citizens, and the presence of cultural considerations in all public policies; in brief, they put culture at the centre of sustainability. If we analyse our planet as a whole through the canonical triangle of sustainable development, we will also notice that this image fails to explain the current complexity of the world. In almost all corners of the Earth, societies wish to have a voice, to be recognized in their singularity, their specificity, their uniqueness. These voices claim for a human globalisation that considers cultural diversity as a resource which is useful to all peoples of the world. The future of our planet deserves an explicit consideration of the cultural dimension of sustainability. The current paradigm of three pillars is based on a narrow Western view that forgets the sense of place. The deep meaning of development is only understood at a local level. Global models cannot be implemented locally unless there is a “door”, a local governance in which people and places are not threatened by globalization but, instead, invited and empowered to become actors of globalization, that is, to generate new meaning without losing the identity. Recognising the plurality of knowledge systems is critical for sustainability. All in all, the paradigm of sustainability needs an explicit cultural component. Transforming the three pillar model into a square, in which culture becomes the fourth pillar, needs serious consideration by the international community. Rio+20 should be the place. The Rio+20 Conference will focus in the green economy and the new institutional framework for sustainable development, but it will also analyse emerging topics. 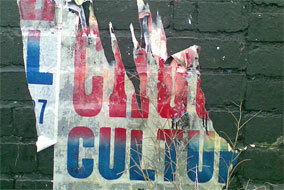 Culture is a key emerging topic in sustainable development. The Final Declaration of Rio+20 should keep the paragraph 16 of the zero-draft (which is in the “declarative” part of the draft) that reads “We acknowledge the diversity of the world and recognize that all cultures and civilizations contribute to the enrichment of humankind and the protection of the Earth’s life support system. We emphasize the importance of culture for sustainable development”. And the Final Declaration of Rio+20 should also dedicate a full chapter (in the “operational” part of the declaration) that provides guidance on how to include culture within local and national strategies and programmes for sustainable development. If Rio+20 created the Sustainability Goals, culture should be one of them, and explicit targets related to the arts and culture should be explicit. A “UN Decade on Culture for Sustainable Development, 2014-2023” could also be explored. All ingredients exist. Let’s quote the canonical definition coined by in the Brundtland report: “sustainable development is the kind of development that meets the needs of the present without compromising the ability of future generations to meet their own needs”. But let’s read it with the lenses of the 21st century. This means translating in policy planning what we have learnt during the last two decades. We need to face our challenges with courage. Thus, we have to embrace culture as a key dimension of sustainability. Jordi Pascual teaches urban cultural policies and management at the Open University of Catalonia - UOC. He often writes articles on this topic and gives conferences on the role of culture in sustainable development. He has been a member of the jury of the European Capital of Culture for 2010, 2011, 2013 and 2016.